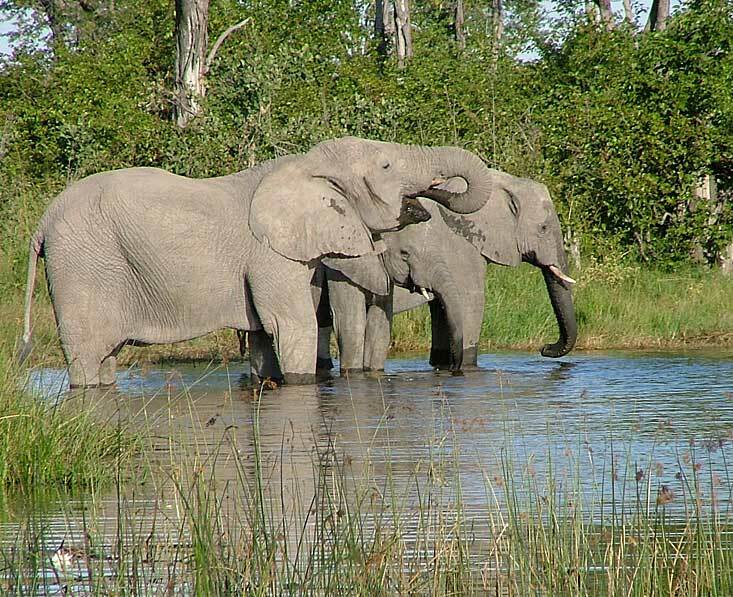 Covering about 20% of the Okavango Delta, Moremi Game Reserve is in the heart of this incredible ecosystem. It is an unfenced reserve bounded by river systems, with Chief’s Island in the middle which is generally regarded as one of the best game viewing areas. 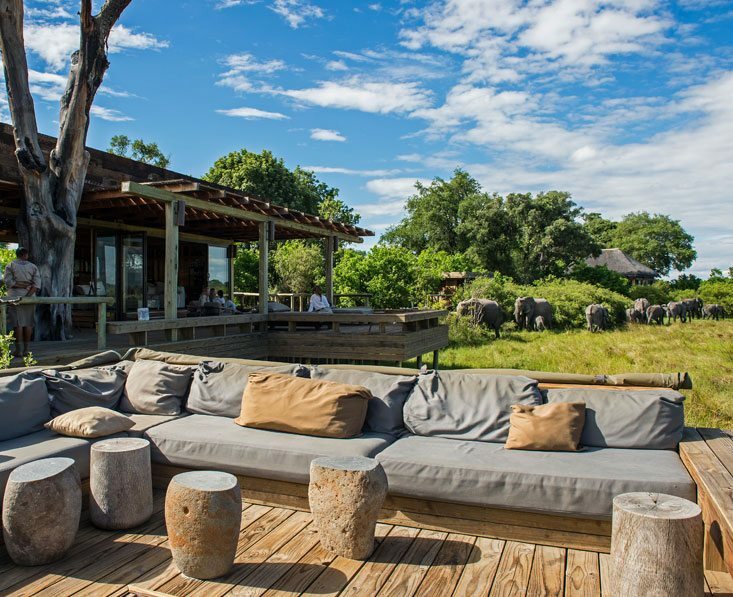 Three of Botswana’s most expensive lodges are found here on Chief’s Island. 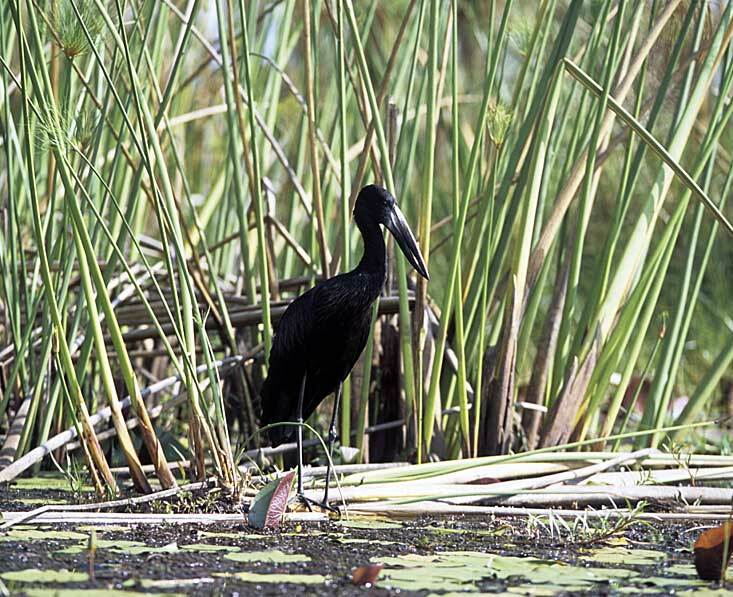 Moremi has both dry land and swamplands and of course is surrounded by permanent delta waterways. 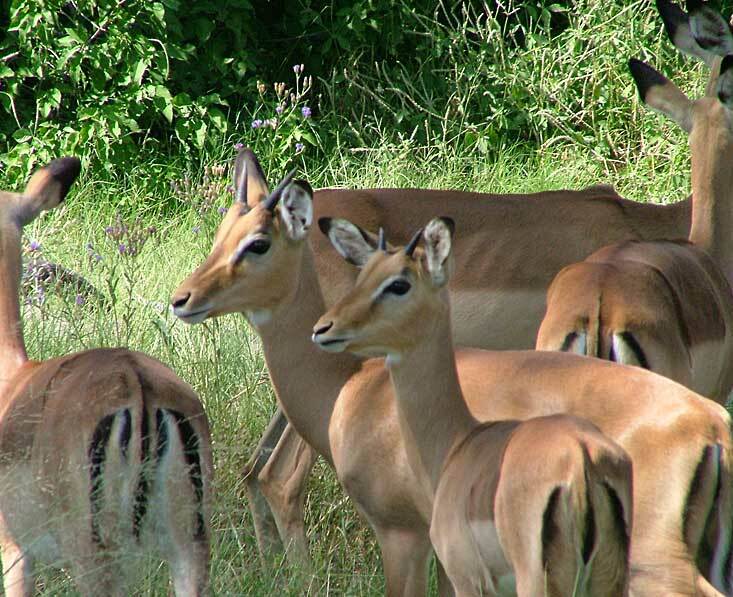 The land is grassy plains with mopane forest, tall evergreen trees, and floodplains. 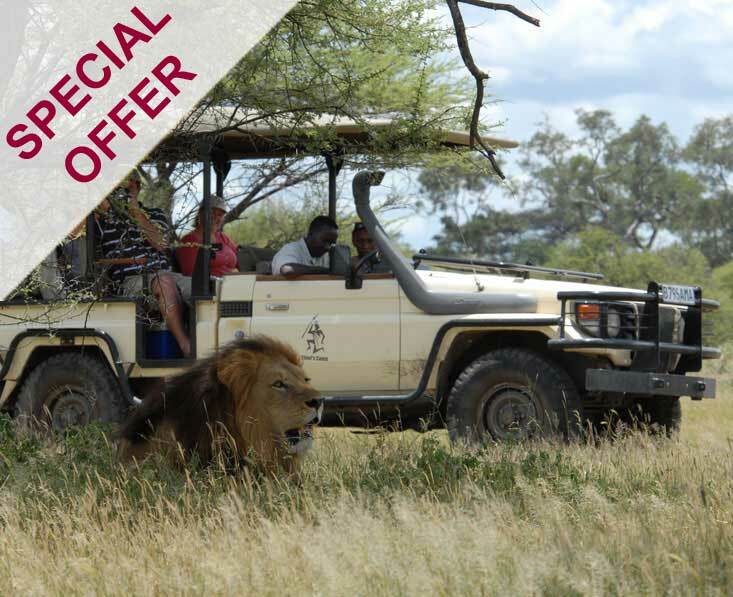 Game drives are available throughout the reserve, and boating safaris can be taken on the waterways in the Xakanaxa (pronounced ka-ka-na-ka) and Third Bridge areas of the reserve. Since Moremi is a national park no off-road driving, walking or night drives are possible here. Even within the context of the wider Delta, the wildlife in Moremi is notably good. It’s a great place for a high chance of seeing rare African wild dogs, and since rhinos were introduced here a few years ago it’s now a ‘big five’ destination. There are over 400 bird species to be found in the reserve. 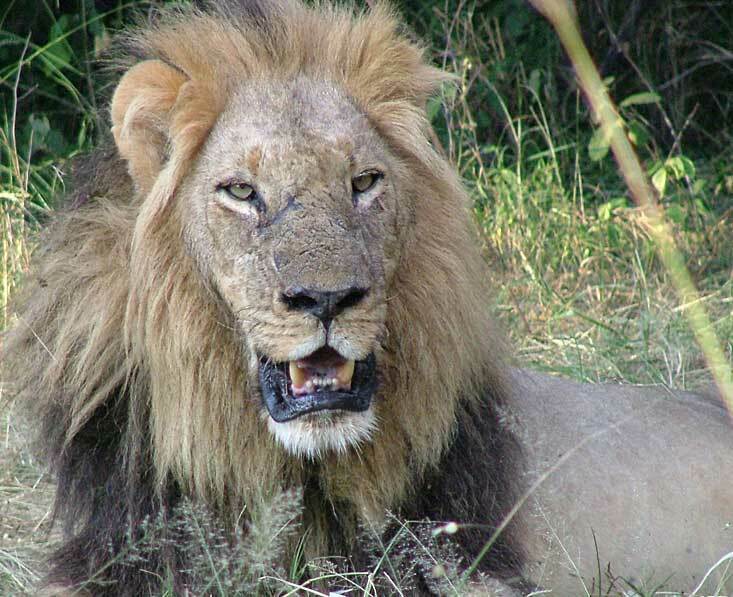 Game viewing in Moremi is good all year round. In the dry season (April to October) the game is usually found mostly around permanent water sources. From September to November migrant birds such as storks and herons return to the area and stay for a good few months. As the rains arrive (November to April) dramatic thunderstorms, amazing sunsets and beautiful flowers add to the highlights, while newborn animals attract the predators. Chief’s Island: a private concession area with just 3 very exclusive camps (Mombo Camp, Little Mombo and Chief’s Camp). The rich vegetation here supports prolific numbers of plains game, and because of this it is known for its attendant predators and excellent general wildlife activity. It’s also one of only two places to see rhinos in Botswana. Whilst private, the camps here are still bound by national park rules. Walks on Chief’s Island are offered by Moremi Crossing, Gunn’s Camp, Oddball’s, Oddball’s Enclave and Delta Camp, but these are taken on the south-west tip of the island which has much lower densities of plains game and very rare sightings of the predators which make Chief’s and Mombo Camps famous. Khwai River: A pretty area in the northeast of the reserve, with floodplains, mopane and tall evergreen woodland, and lots of plains game. It is also an area known for decent leopard sightings, a lot of predator-prey sightings, saddle-billed storks, wattled cranes, bee-eaters and kingfishers. 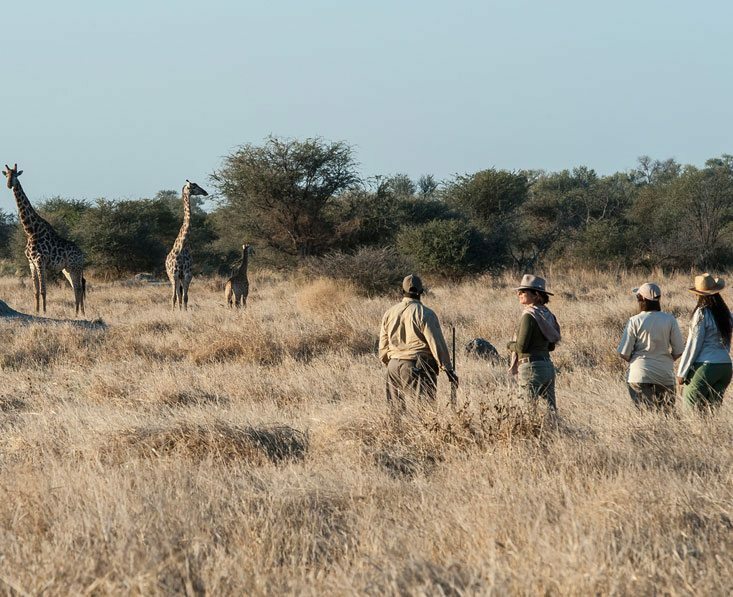 [Note about Khwai Community Area: Whilst this is just north of Moremi, the experience here is very similar to that within the reserve, but there is the advantage of the lodges offering walking safaris, off-road driving and night drives given that this is not national park territory]. Xakanaxa Lagoon: Found at the tip of what is known as the Mopane Tongue, this is a picturesque area near deep waterways. It is where the desert meets the Delta. 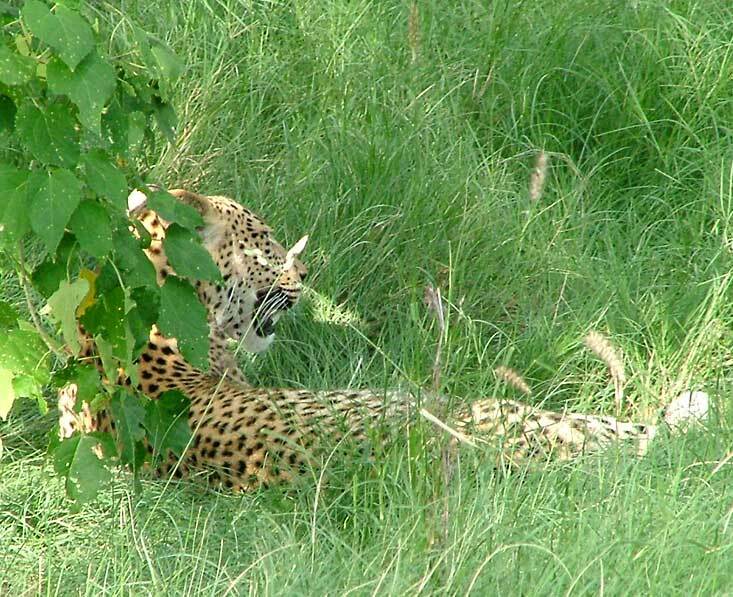 It has very good game including leopards, lions (4 prides at last count), cheetahs, elephants, buffalos (many hundred), and exceptional birdlife including breeding colonies of birds on tree-covered islands. Wild dogs are found here, and there are prolific numbers of antelopes. There are three camps along the shore of this lagoon – Camp Moremi, Camp Okuti and Xakanaxa Camp. Third Bridge: A central area within the reserve, with good wildlife in large open plains, and a handy place from which to take a boat safari. South Gate: From this gate it is only about 100kms to Maun. 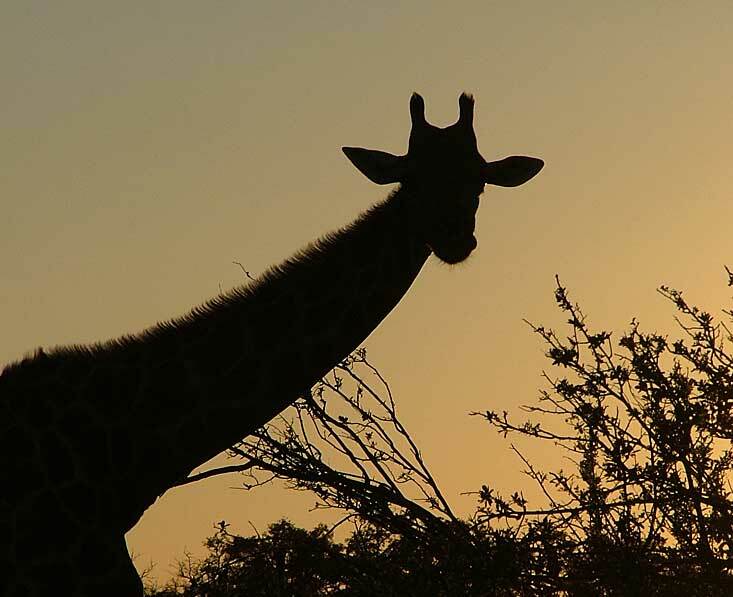 It’s a great area for giraffes who like the mopane woodland and acacias interspersed with the grassy plains. There is a national campsite at South Gate.